As the number of baby-boomers who reach retirement continues to grow, an eye disease called macular degeneration – or age-related macular degeneration (AMD) – is becoming an ever-increasing health issue for millions of people. In fact, age-related macular degeneration is statistically found in nearly one-third of American adults over the age of 65, and is the leading cause of blindness in this age group. Scientists are predicting a whopping 18 million cases of AMD by the year 2050, and until recently, this disease was thought to be incurable and irreversible. However, researchers have recently conducted studies that indicate great hope for preventing and potentially healing AMD. Specifically, let’s talk about bioidentical hormone therapy and AMD. Certain risk factors for AMD have been identified as well. These include smoking, a high fat diet, obesity, insufficient physical exercise, high blood pressure, family history, and others. If these risk factors sound a lot like those for cardiovascular disease, it is because they are identical. What’s the connection with heart disease? An exciting discovery was made about 10 years ago that is a boone for the care of AMD and for the overall understanding of hormone therapy. Researchers conducted several studies that led them to conclude that AMD can be prevented, and even reversed in some cases, by the use of bioidentical hormones. This journey began when cholesterol was pinpointed as the main ingredient in drusen, and the link between macular degeneration and cardiovascular disease was factored in. This link is very clear. In fact, it is estimated that a person with AMD has 5 times the chance of dying from coronary disease and 10x the chance of dying from a stroke than individuals without AMD. This led researchers to speculate that drusen form because the retina is trying to compensate for a lack of critical hormones in the blood by making its own. When it is unable to accomplish that, drusen (cholesterol) increases, causing AMD and increasing risk for cardiac disease. The theory turned out to be correct, and it has been proven in clinical studies that supplementation with bioidentical hormones — not synthetic hormones — has significant healing effects on both AMD and heart disease. These hormones include: DHEA, progesterone, testosterone, pregnenolone, and others. It’s also very important to note that the retina is technically part of the brain, as an extension of the optic nerve, and hormones such as pregnenolone, estrogen, and progesterone are critical for proper brain and nervous system functioning. DHEA is also important in preventing AMD and heart disease. Research has shown that the hormone dehydroepiandrosterone (DHEA) is abnormally low in patients with AMD (Bucolo 2005). DHEA has been shown to protect the eyes against oxidative damage (Tamer 2007). 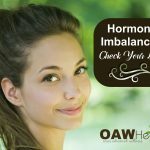 The past decade has seen an explosion of interest in managing wellness by restoring hormone balance. Unfortunately, progress in this area has been complicated by the use of non-bioidentical, pharmaceutical hormones such as Premarin® (horse urine estrogen). Scientific literature gives many studies examining the use of single hormones, which further muddles the issues at hand. We need more studies that focus on balancing all hormones – not just one or two. For example, a study to determine the value of estrogen therapy alone in managing a particular disorder is insufficient because estrogen deficiency must be looked at in the context of progesterone levels and other adjacent hormones. All of this would give us more insight in the realm of bioidentical hormone therapy and AMD. Today, cutting-edge clinicians are increasingly using bioidentical hormones in their practice. These are human-identical hormones that are identical to those naturally produced by the body, which often become low due to aging. 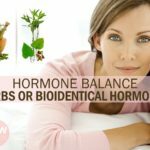 Examples of these bioidentical hormones include pregnenolone, dehydroepiandro-sterone (DHEA), estriol, estradiol, estrone, progesterone, testosterone, dihydrotestosterone, and cortisol. Dr. George W. Rozakis has been a student of hormonal medicine for years and has proposed a new theory for one of the leading causes of blindness, which he titles “The Hormonal Theory of Macular Degeneration.” His main idea deals with the embryologic association between the retina and the brain. Since hormones are known to benefit the brain, Dr. Rozakis theorizes whether hormones also benefit the macula. When recent scientific literature showed that blood DHEA levels are low in patients with macular degeneration, that the macula can make its own hormones, and that cholesterol is present in the pathological lesions known as drusen, the platform was set for Dr. Rozakis’ theory. There is only finite success using conventional treatment protocols to recover lost eyesight from AMD. Researchers are now recording the benefits of more holistic approaches to AMD. Those with AMD are also encouraged to improve diet (including a reduction in saturated fats), stop smoking, and protect their eyes from excessive light (including blue light from computers and hand-held devices). Supplementation with trace elements, carotenoids, antioxidants, and vitamins is highly recommended for improving overall metabolic and vascular function. The discovery of hormonal links to AMD has reinforced the concept that hormone balance along with the use of supplemental bioidentical hormones, plays a primary role in all types of wellness and disease prevention. Dzugan SA, Smith RA. Broad spectrum restoration in natural steroid hormones as possible treatment for hypercholesterolemia. Bull Urg Rec Med. 2002;3:278-84. Dzugan SA, Arnold SR. Hypercholesterolemia treatment: a new hypothesis or just an accident? Med Hypotheses. 2002 Dec;59(6):751-6. Dzugan SA, Smith RA. Kuznetsov AS. A new statin free method of hypercholesterolemia. The Health of Donbass. 2004;4:19-25. Driscoll I, Resnick SM. Testosterone and cognition in normal aging and Alzheimer’s disease: an update. Curr Alzheimer Res. 2007 Feb;4(1):33-45. Andreen L, Sundstrom-Poromaa I, Bixo M, Nyberg S, Backstrom T. Allopregnanolone concentration and mood–a bimodal association in postmenopausal women treated with oral progesterone. Psychopharmacology (Berl). 2006 Aug;187(2):209-21. Li H, Klein G, Sun P, Buchan AM. Dehydroepiandrosterone (DHEA) reduces neuronal injury in a rat model of global cerebral ischemia. Brain Res. 2001 Jan 12;888(2):263-6. Bucolo C, Drago F. Effects of neurosteroids on ischemia-reperfusion injury in the rat retina: role of sigma1 recognition sites. Eur J Pharmacol. 2004 Sep 13;498(1-3):111-4. Boekhoorn SS, Vingerling JR, Uitterlinden AG, et al. 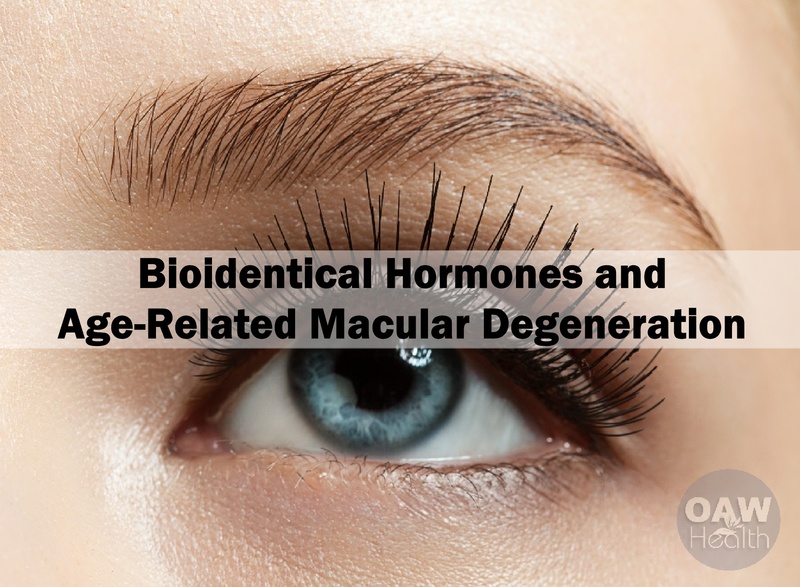 Estrogen receptor alpha gene polymorphisms associated with incident aging macula disorder. Invest Ophthalmol Vis Sci. 2007 Mar;48(3):1012-7. Smith W, Mitchell P, Wang JJ. Gender, oestrogen, hormone replacement and age-related macular degeneration: results from the Blue Mountains Eye Study. Aust N Z J Ophthalmol. 1997 May;25 Suppl 1:S13-5. Vinding T, Nielsen NV. Retinopathy caused by treatment with tamoxifen in low dosage. Acta Ophthalmol (Copenh). 1983 Feb;61(1):45-50. Tamer C, Oksuz H, Sogut S. Serum dehydroepiandrosterone sulphate level in age-related macular degeneration. Am J Ophthalmol. 2007 Feb;143(2):212-6. Tan JS, Wang JJ, Liew G, Rochtchina E, Mitchell P. Age-related macular degeneration and mortality from cardiovascular disease or stroke. Br J Ophthalmol. 2008 Apr;92(4):509-12. Thijs L, Fagard R, Forette F, Nawrot T, Staessen JA. Are low dehydroepiandrosterone sulphate levels predictive for cardiovascular diseases? A review of prospective and retrospective studies. Acta Cardiol. 2003 Oct;58(5):403-10. 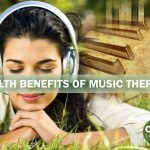 Guarneri P, Cascio C, Russo D, et al. Neurosteroids in the retina: neurodegenerative and neuroprotective agents in retinal degeneration. 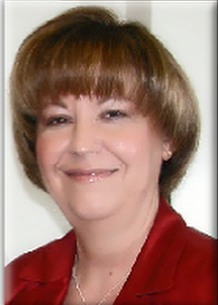 Ann NY Acad Sci. 2003 Dec;1007:117-28. Malek G, Li CM, Guidry C, Medeiros NE, Curcio CA. Apolipoprotein B in cholesterol-containing drusen and basal deposits of human eyes with age-related maculopathy. Am J Pathol. 2003 Feb;162(2):413-25. Li CM, Clark ME, Rudolf M, Curcio CA. Distribution and composition of esterified and unesterified cholesterol in extra-macular drusen. Exp Eye Res. 2007 Aug;85(2):192-201. Curcio CA, Presley JB, Millican CL, Medeiros NE. Basal deposits and drusen in eyes with age-related maculopathy: evidence for solid lipid particles. Exp Eye Res. 2005 Jun;80(6):761-5. Bucolo C, Drago F, Lin LR, Reddy VN. Neuroactive steroids protect retinal pigment epithelium against oxidative stress. Neuroreport. 2005 Aug 1;16(11):1203-7. Jaliffa CO, Howard S, Hoijman E, et al. Effect of neurosteroids on the retinal gabaergic system and electroretinographic activity in the golden hamster. J Neurochem. 2005 Sep;94(6):1666-75. Binns AM, Margrain TH. Evaluating retinal function in age-related maculopathy with the ERG photostress test. Invest Ophthalmol Vis Sci. 2007 Jun;48(6):2806-13. Lundmark PO, Pandi-Perumal SR, Srinivasan V, Cardinali DP. Role of melatonin in the eye and ocular dysfunctions. Vis Neurosci. 2006 Nov;23(6):853-62. Yi C, Pan X, Yan H, Guo M, Pierpaoli W. Effects of melatonin in age-related macular degeneration. Ann NY Acad Sci. 2005 Dec;1057:384-92. Guarneri P, Guarneri R, Cascio C, Pavasant P, Piccoli F, Papadopoulos V. Neurosteroidogenesis in rat retinas. J Neurochem. 1994 Jul;63(1):86-96. Zarbin MA. Current concepts in the pathogenesis of age-related macular degeneration. Arch Ophthalmol. 2004 Apr;122(4):598-614. Schutt F, Pauleikhoff D, Holz FG. Vitamins and trace elements in age-related macular degeneration. Current recommendations, based on the results of the AREDS study. Ophthalmologe. 2002 Apr;99(4):301-3.